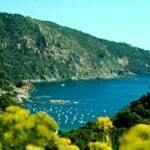 For many families, Spain is a no-brainer when it comes to choosing a holiday. Not only does it boast stunning beaches and almost guaranteed sunshine, but it’s also fun, friendly, great value and straightforward to reach, thanks to the plethora of low-cost flights from the UK. 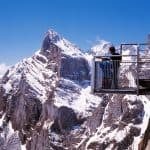 You can avoid the crowded Costas and rowdier resorts by combining quieter stretches of coast with adventure activities in the mountains of the Pyrenees, Sierra Nevada or Picos de Europa. Or you could travel off-season to year-round destinations like the Canary Islands. 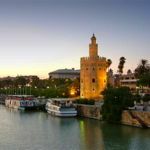 With careful planning, Spanish cities like Barcelona and Seville make rewarding short-break destinations for families, while the cultural and wildlife hotspots of Andalucia combine well with beach time on the Costa del Sol. 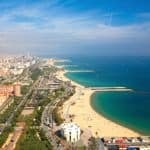 From the orchid-speckled meadows of the Pyrenees to the buzzing streets of Barcelona – and all those sun-drenched beaches in between – Catalonia has something for all ages, whether you have 10-year-olds in search of mountain adventure, teenagers looking for city chic or toddlers content with sand and sea. In the Spanish Pyrenees, the Parc Nacional d’Aigüestortes is a real beauty – soaring peaks reflected in placid lakes and loads of opportunities for mountain adventures, such as hiking, biking and rafting. Roads unravel from the mountains to an equally dramatic coastline – the Costa Brava – crinkle-cut with rocky coves and pine-fringed bays. 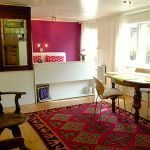 Vintage Travel has a wonderful selection of family villas all within an hour’s drive of Girona Airport, or two hours from Barcelona. Each property has its own swimming pool and many are just a short stroll from unspoilt hidden coves and child-friendly sandy beaches. Or head to the chic beach resort of Sitges close to Barcelona where you’ll find cobbled streets, art galleries, historic buildings and great restaurants. Check out these family villas. Els Pins is a stunner. Located on a wooded hillside above the fishing village of Tamariu, the four-bedroom villa has a gated and heated pool and is only 400m from a sandy cove. 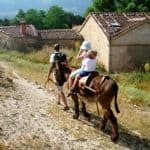 Headwater has a great range of independent family activity holidays in Catalunya featuring cycling, walking and canoeing. You can stay at the same hotel throughout, or travel from one to the next with your luggage transported as you go. 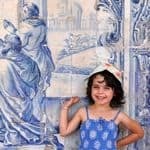 Like Catalonia and Cantabria, Andalucia offers far more than simply a ‘crash out on the Costas’ style family holiday. As well as the lofty Sierra Nevada, other beach-free highlights include the exquisite Alhambra, the clifftop ‘white town’ of Ronda, the wildlife-rich wetlands of the Coto Donana and the mighty Gothic cathedral, flamenco dancing and tapas in Seville. Don’t miss the Moorish palace of Alhambra in Granada. Kids will want to make a beeline for the rugged 13th-century Alcazaba fortress at the western end of the complex where they can climb the Torre de la Vela for epic views of the Sierra Nevada. However, try to steer them towards other, subtler highlights such as the Salón de Embajadores, a sumptuously decorated throne room, and the Patio de Arrayanes, a peaceful courtyard with a long rectangular pool reflecting the graceful arches of surrounding arcades. If that sounds all too much trouble and you’d rather laze on a sun bed (it’s ok, we get it), the four-star Playasol Spa Hotel on the Costa de Almeria is a proven hit with kids of all ages. It has its own water park with kamikaze slides and a giant plug slide, kids clubs and a nearby beach. 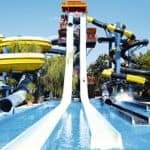 As well as great beaches at places like Cabopino, Calahonda and La Rada, other must-visits for kids along the Costa del Sol include the eerily quiet limestone cave system of Cuevas de Nerja and the less tranquil Aqualand waterpark in Torremolinos. 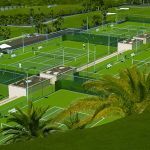 Teenagers (and their parents) will no doubt want to ogle the luxury yachts of film stars and celebrities in Marbella before browsing the stylish shops in the old town and hitting the beach at Playa de Don Carlos. 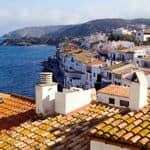 Whatever your plans, Kirker Holidays has a wide range of countryside and coastal properties in Andalucia with gardens, swimming pools and excellent children’s facilities – along with the services of a Kirker Concierge to pre-book local excursions. One of Spain’s most luxurious resorts, the Moorish-style Kempinski Estepona has 147 stylish rooms, all with balconies and sea views. A few kilometres north of the hill town of Ronda, and about an hour from the coast, La Fuente de la Higuera is a converted 18th-century olive mill. 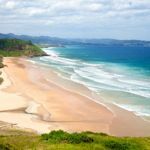 It might struggle to rival the heat and sunshine of the Mediterranean Costas, but the Atlantic coast of Galicia oozes family-holiday appeal with its golden-sand beaches, a spectacular mountainous hinterland, pretty fishing villages and local markets. With low cost flights and overnight ferries to Santander it’s easy to reach and you’ll find a great collection of family villas with private pool. There are also caves to be explored – many with prehistoric paintings. The most famous are the Cuevas de Altamira where images of bison, deer and horses were sketched on the walls some 14,000 years ago. You can also see animal drawings and hand prints at the Cuevas del Castillo – home to cave dwellers from as early as 130,000 years ago. Your own des-res in Northern Spain is likely to have a few more creature comforts. Vintage Travel offers a range of villas in the region, each with a private pool. Kirker Holidays has some choice family accommodation in some of Spain’s most exciting cities, including Casa No 7, a boutique hotel in Seville, and Hotel Miramar in Barcelona, which has an outdoor pool and gardens. The inspirational Kids Collection from i-escape also features fabulous places to stay in towns and cities throughout Spain. With panoramic views across Barcelona, Gran Hotel La Florida has an amazing L-shaped indoor-outdoor pool and superb dining (for both kids and adults). It’s also near the theme park on Tibidabo Hill. The super-luxurious Casa Capella is more centrally located and features all mod cons in an architect-designed, contemporary apartment. 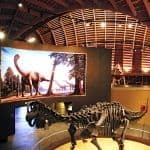 There’s plenty to keep families busy in Barcelona for several days. Take a stroll along La Rambla with its colourful pavement mosaics, cafés and street artists; visit Port Vell, which has an excellent aquarium, IMAX cinema and even a submarine. Boat trips are available, while sandy beaches can be found at both Port Vell and Port Olímpic. A combo of funicular and cablecar on Montjuïc Hill leads to Castell de Montjuïc with its military museum, while Parc Güell showcases the colourful imagination of Gaudí with its weird and wonderful pavilions, benches and archways. 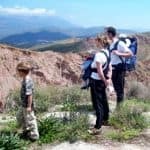 If you really want to get away from it all in Spain, two family adventure operators can take you to parts of the country few visitors ever get to experience. 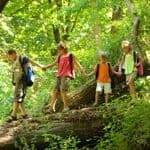 Inntravel has a range of other family walking holiday ideas, including a seven-night itinerary on the Catalan coast, following easy trails to a succession of sandy beaches and staying each night in a family-friendly hotel with a pool. 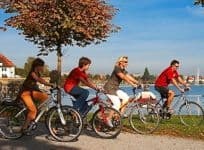 It also has cycling holidays along the coastline of Mallorca or exploring the medieval villages and unspoiled beaches of Catalonia. In both cases, your luggage is transported each day to your next hotel. Once you cast your net beyond the mainland, deciding where to go on a family holiday in Spain suddenly gets a whole lot harder. The Balearic Islands have something for everyone – from action-packed resorts on Mallorca to stylish Ibiza and the quieter, beaches on Menorca and Formentera. Whichever island you opt for, however, children will find no shortage of activities – both on and off the beach – while accommodation ranges from plush villas and rustic farmhouses to lively resorts with waterparks. If you yearn for the cool chic of Ibiza, head to the Nobu Ibiza Bay Hotel, a stylish new hotel just outside Ibiza Town which is aimed squarely at families. It has a kids club for ages 4 – 14 with activities ranging from cooking to DJ workshops. 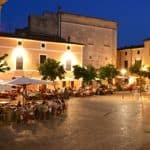 Families with young children particularly like Menorca for its quiet villages, gently-shelving beaches and – easy to overlook – short airport transfers. Vintage Travel has a handpicked portfolio of private villas in Mallorca – all with private pools and dreamy locations in the more tranquil, picturesque corners of the island. 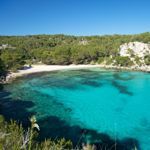 Sleeping up to ten people Sa Marina is only a ten-minute drive from the cove-dimpled resort of Cala d’Or and within walking distance of two stunning beaches. Sitting pretty in nearly nine acres, the villa boasts a large swimming pool, table tennis and five en suite bedrooms. Another property with ‘wow’ factor, the four-bedroom Ca’n Torres lies at the heart of Pollença – its traditional Mallorquin facade hiding a bright, contemporary interior. The views from the pool terrace take in the town’s rooftops and beyond to the picturesque Puig de Maria and Colonya Valley. Also see Oliver’s Travels villas in Mallorca. For a large family gathering – or perhaps a chance to share a particularly special property with friends – The Big Domain has a couple of beauties in Mallorca. If you are looking for luxury, you must see Sir Richard Branson’s new Son Bunyola estate in Mallorca where just a small handful of villas are set in 680 acres of unspoilt countryside. As well as paying for splendid isolation, you also get a private chef and concierge service. 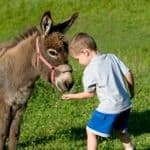 If you’re looking for single-parent holidays in the Balearic Islands, Single with Kids offers two options in Mallorca. 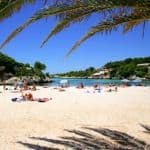 Based in Porto Colom or Alcudia these holidays ensure company not only for children, but for the adults too, with varied itineraries including beach parties and visits to caves and waterparks. From waterparks and whale watching to riding camels and climbing volcanoes, there’s never a dull moment in the Canaries. Nor is there anywhere better in Europe to plan a winter beach escape with the kids. There’s some exceptional family-friendly accommodation in the islands. Highly recommended from Sovereign Luxury Travel, the Princesa Yaiza Suite Hotel Resort in Lanzarote presides over the white sand beaches of Playa Blanca and offers a choice of suites, including Kiko Royal Family Suites, with two bedrooms, PlayStation and a couple of hours of free babysitting each day. Kids’ clubs for babies up to 16-year-olds host activities such as treasure hunts, five-a-side football, theatre performances and discos. There’s a gorgeous pool, spa and choice of themed restaurants – not forgetting the ice cream parlour. 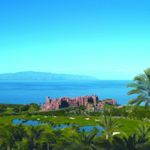 Equally desirable, The Ritz-Carlton, Abama offers family-friendly, five-star luxury on Tenerife’s unspoilt west coast. The rooms, family suites and villas have large balconies, marble bathrooms and stunning views of the ocean, pools or golf course. Kids will quickly discover the unlimited sweet treats and drinks at reception. The children’s cinema nights on the beach are also a highlight, while childcare includes the superb Abama Kids Club – the largest in Europe with zones covering everything from science and astronomy to crafts, gardening and cookery. More water-based action awaits in the Pyrenees where Activities Abroad offers a multi-activity holiday with white-water rafting, canyoning, mountain biking and kayaking.